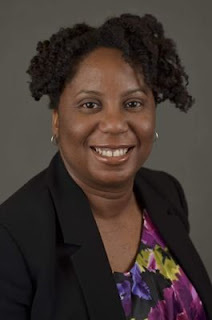 During the HBCU Dean’s Breakfast today at the Black Engineer of the Year STEM Conference in Washington, D.C., Florida A&M University alumna Tokiwa Smith will be receive the Educational Leadership Award for K-12 Promotion of Education. The conference selected Smith for the award in recognition of her work as the Founder and Executive Director of Science, Engineering, and Mathematics Link Inc. (SEM Link), a non-profit organization that promotes student achievement and career exploration in math and science for K-12 students. Under her leadership, SEM Link has grown from an organization that served one middle school in Atlanta, Georgia, to a national nonprofit organization that has enhanced the STEM educational experiences for thousands of youth in Atlanta, San Francisco Bay Area, and Washington, DC. SEM Link has served schools and community organizations such as the Aspire Public Schools, Atlanta Public Schools, California Alliance of African American Educators (CAAAE), Cool Girls, DeKalb County Public Schools, Fulton County Public Schools, Girls Inc., Oakland Unified School District, San Francisco Unified School District, and West Contra Costa Unified School District. A native of Miami, Florida, and an alumnus of Florida Agricultural & Mechanical University, with a Bachelor of Science in Chemical Engineering, Smith has over 10 years' experience working in academia and non-profit organizations developing and managing educational programs and developing and implementing math and science curriculum for precollege and college students. Smith is also an author and workshop speaker on STEM education and career exploration. She has been featured in several publications, including Scientific American, for her work in STEM education and philanthropy. She is the San Francisco/Oakland contributor for Black Gives Back, a blog with over 50,000 readers nationally that focuses on African Americans in philanthropy. Smith is also a member of the Coalition of the Public Understanding of Science (COPUS), a grassroots effort to engage the public in science and increase public understanding of the nature of science and its value to society.